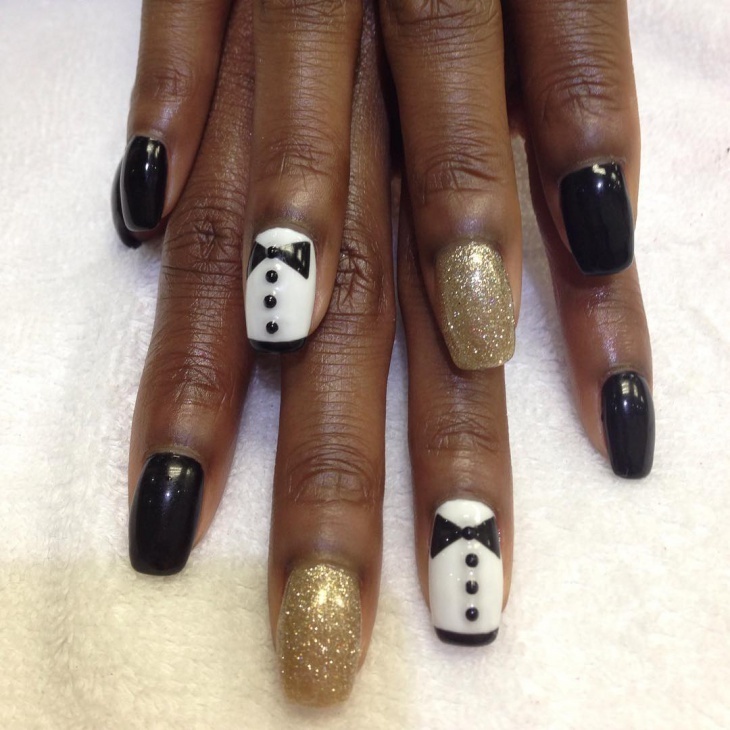 Well, all love tuxedos and how it adds a certain panache to any personality irrespective of the gender. 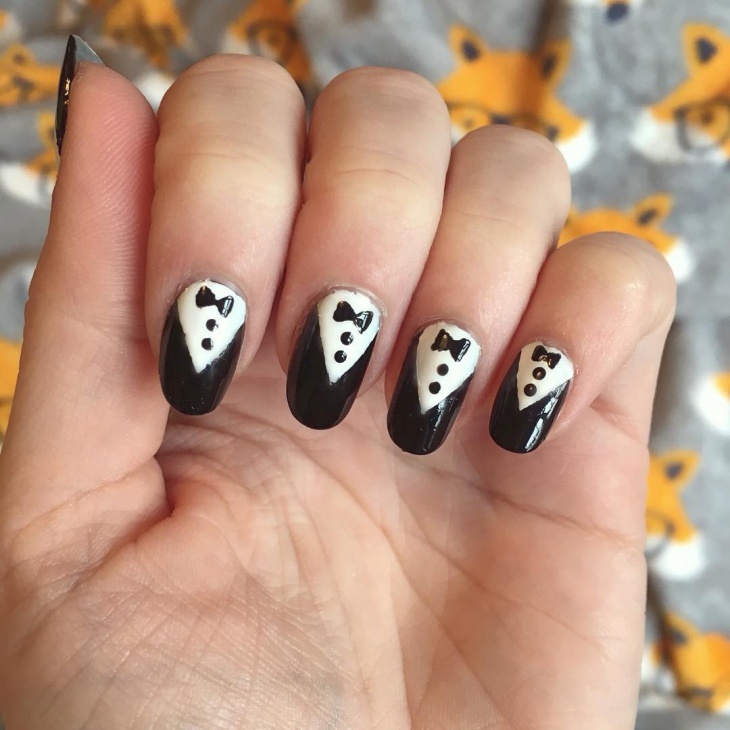 How about some nail art designs inspired by tuxedos? Doesn’t that sound exciting? It surely does to us. 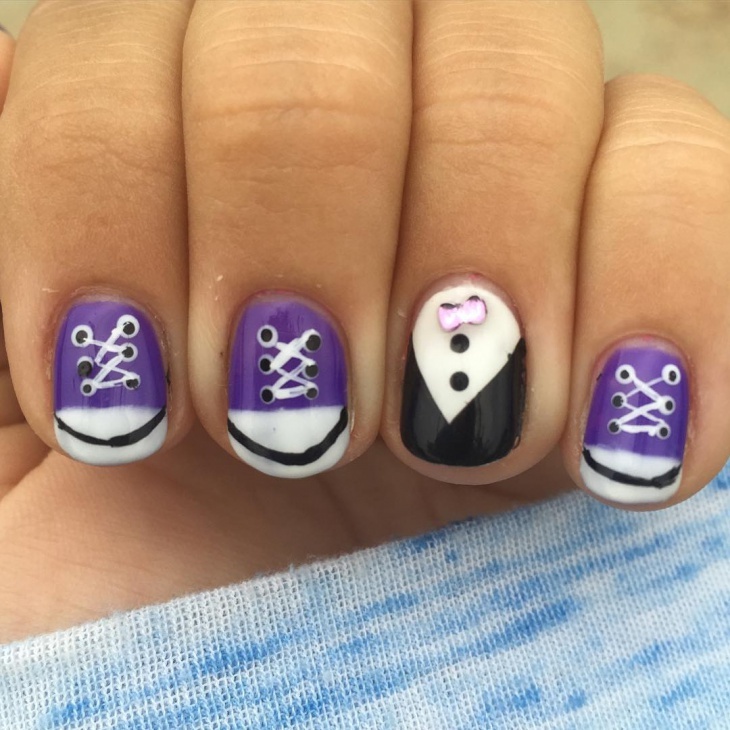 We went over some brilliant tuxedo nail art designs and came out with the best 10 to show you. These are cute, smart, elegant, chic and definitely very fashionable. 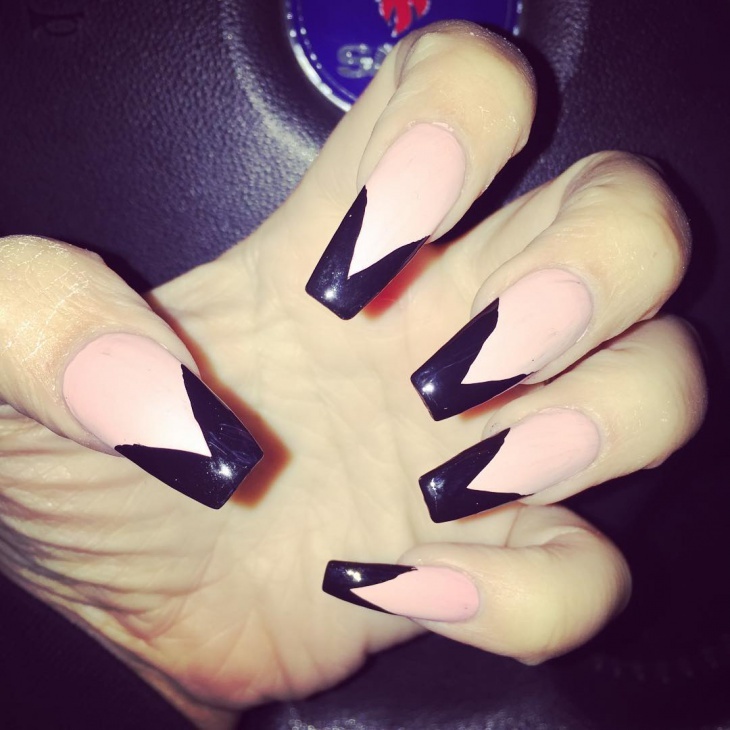 Long nails, shorts nails, these are for all type of nails, even your toenails. So take a sneak peek into the most beautiful designs we have found for you. 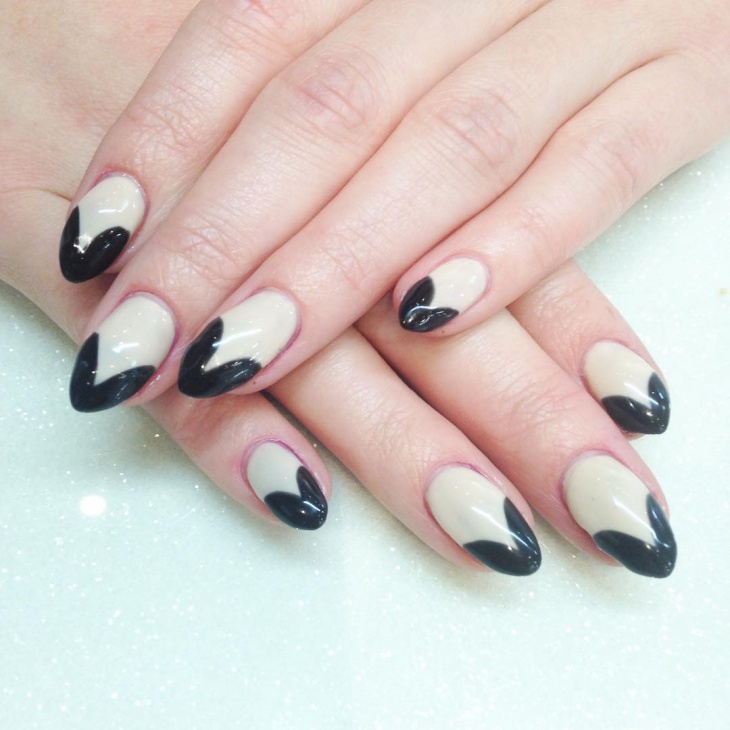 This design is both cute and stunning. This is the perfect tuxedo combination and one glance is enough to tell that it is a tuxedo. The bow looks very cute and is done nicely. The black and white is, of course, a perfect combination and overall we think this is a must try for your casual outfits. This shouts out elegant from every angle. 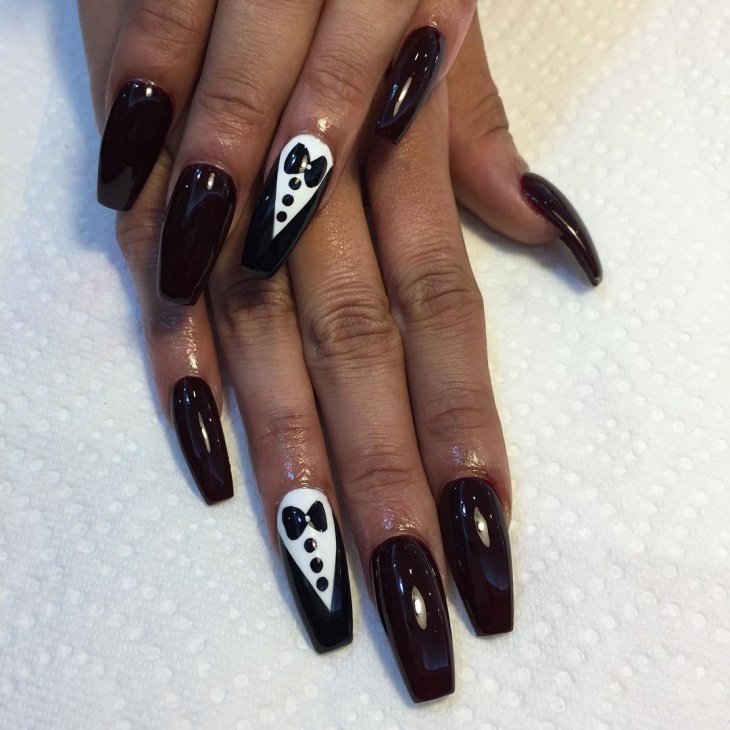 You can pair them with your beautiful black gown and you are sure to grab a lot of attention. Make sure you get them perfectly without creating any mess. Doesn’t this design look stunning and absolutely eye catching? 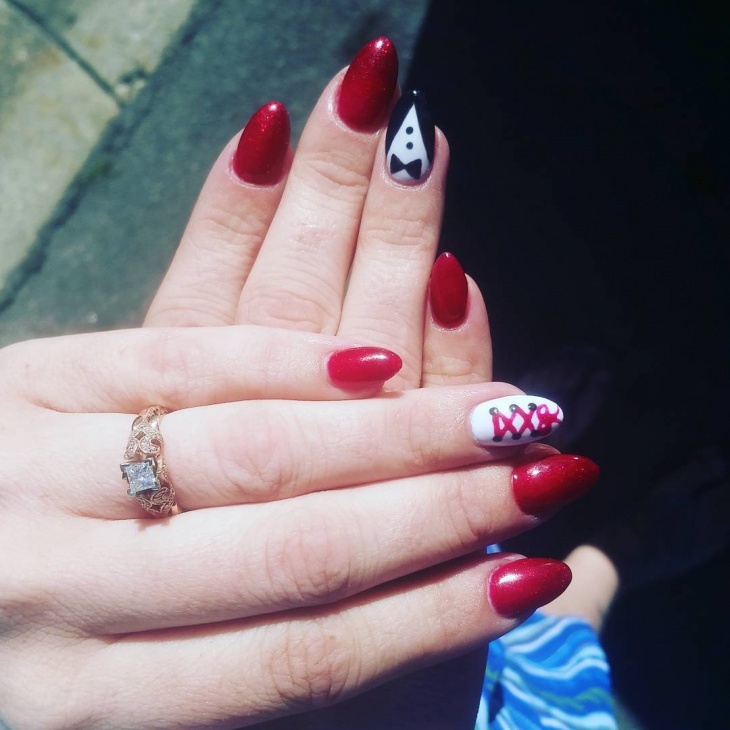 We love the perfect red combination with one nail standing out in a perfectly done tuxedo. 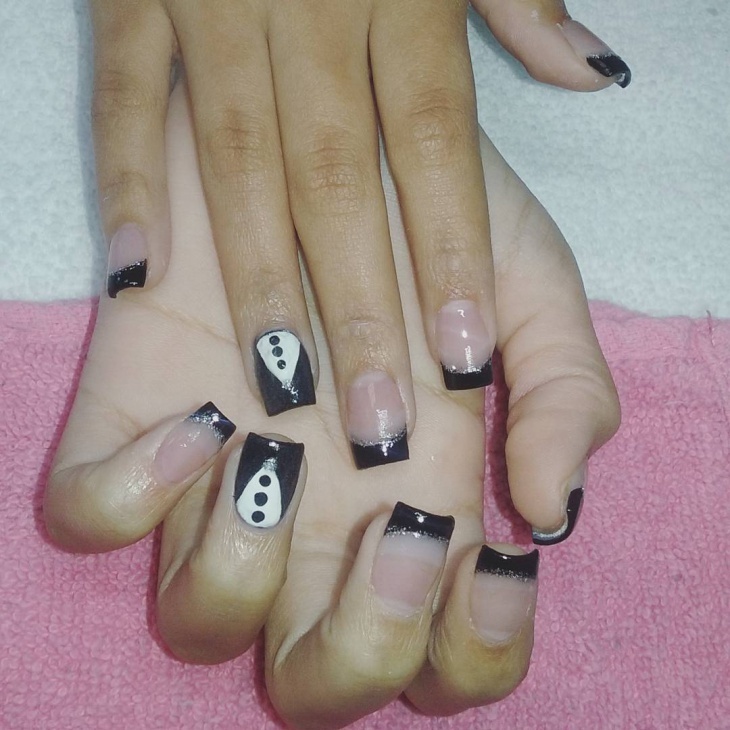 The tuxedo nail is perfectly drawn and overall this is a different nail art that at the same time looks magnificent. 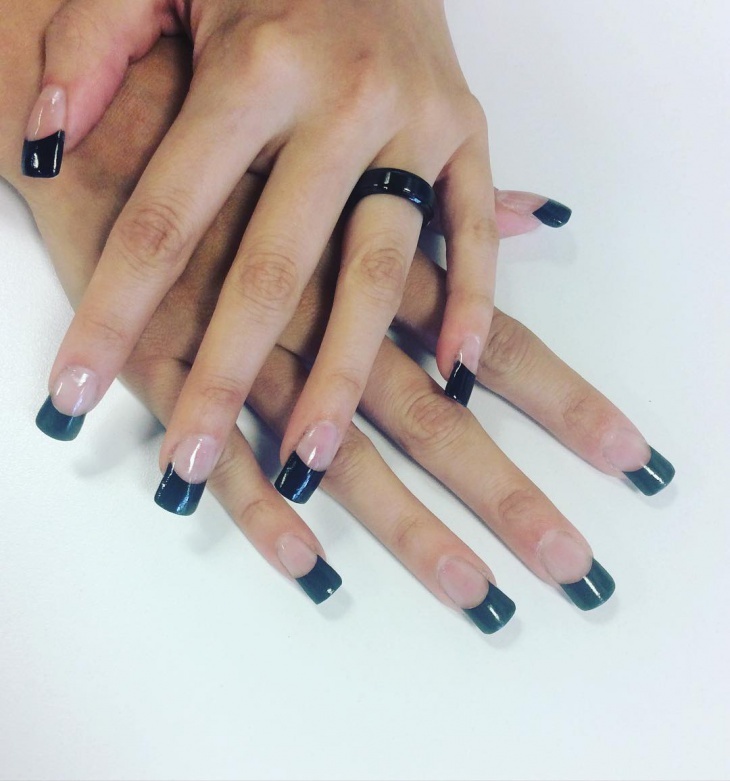 If you are not a big fan of long nails, we can help you make those short nails also look equally stunning. 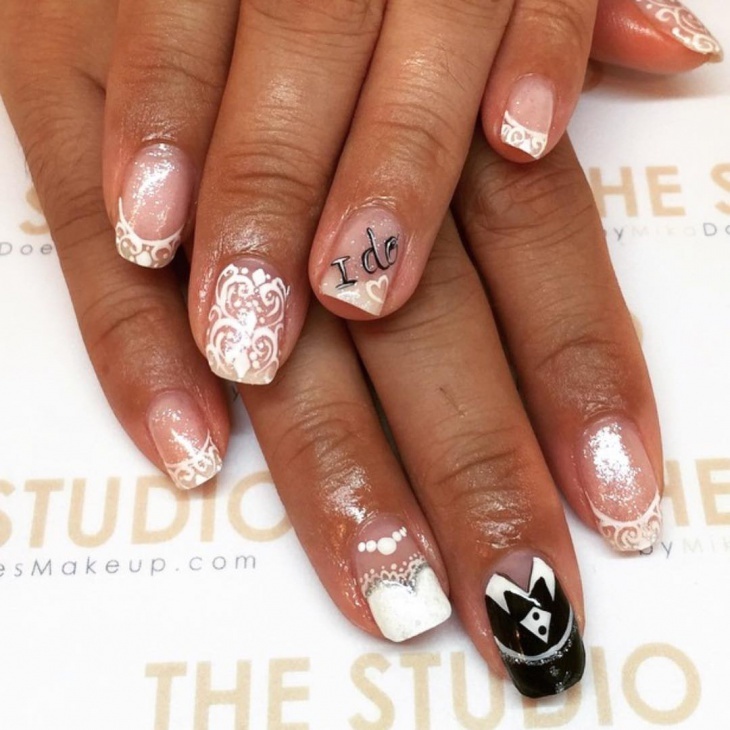 This design is perfect for short nails and is very cute to look at. 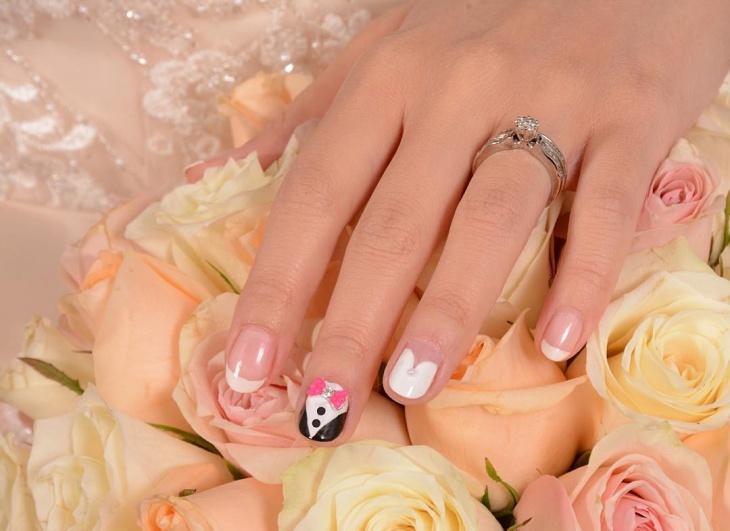 It is a bride and groom theme where the tuxedo with the pink bow looks absolutely adorable. Glitter always makes a design look more radiating and visually appealing. 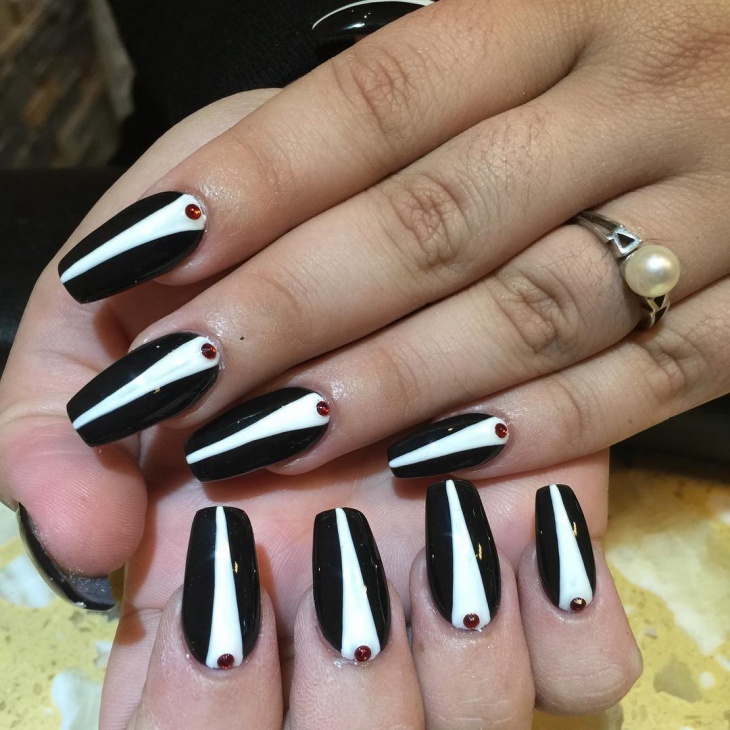 This design is simple yet looks very striking. 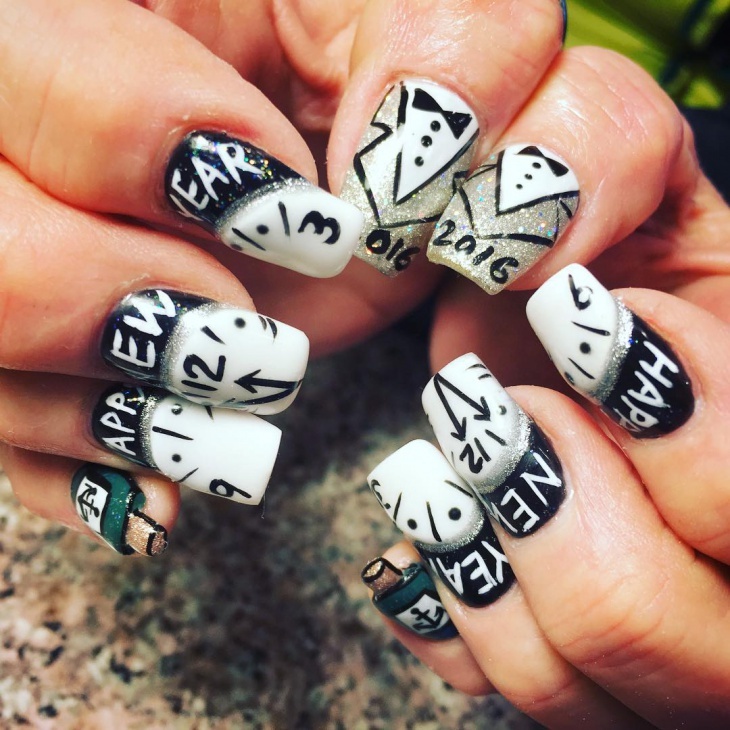 You can try this look with your party wear and people will not stop looking at your nails. 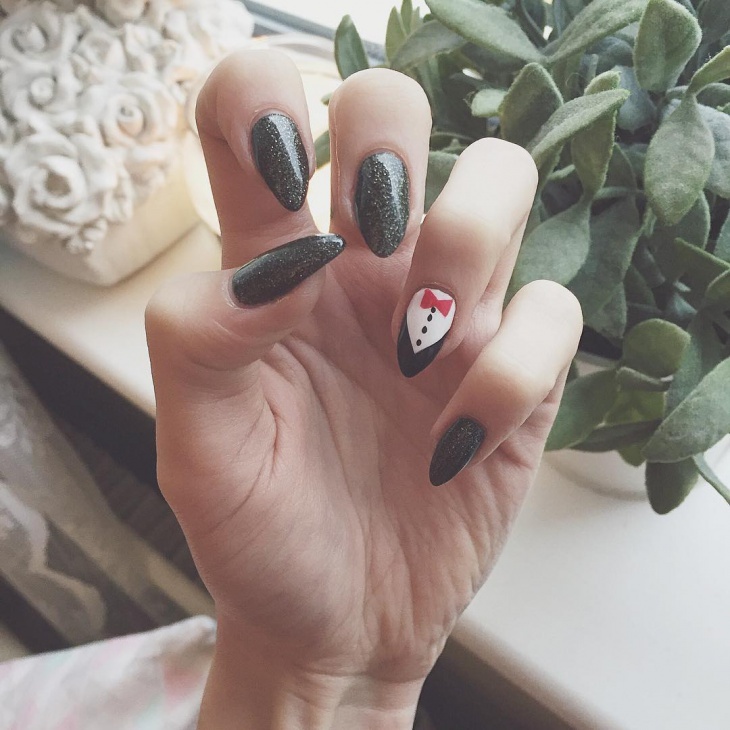 This is definitely party-ready nails and a must try for all of you out there. It is stunningly beautiful and elegant at the same time. The combination is subtle but looks spectacular. The rhinestones give it an overall dazzling look. We are in love with this one. Polka dots can never run out of fashion and this is a perfect example of it. This design is cute and stunning at the same time. 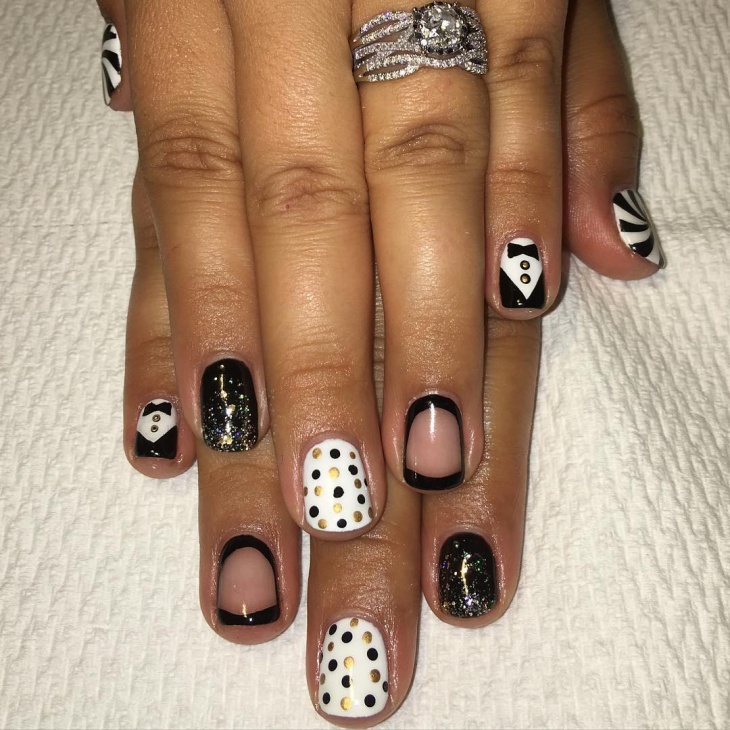 The black and white combination is spread across and used perfectly with a touch of glitter and the polka dots just make it complete overall. Make your toenails looks beautiful too. The pink is eccentric and stands out beautifully. The bow around it is stunning and looks very chic. Overall this combination is lovely and very finely done. 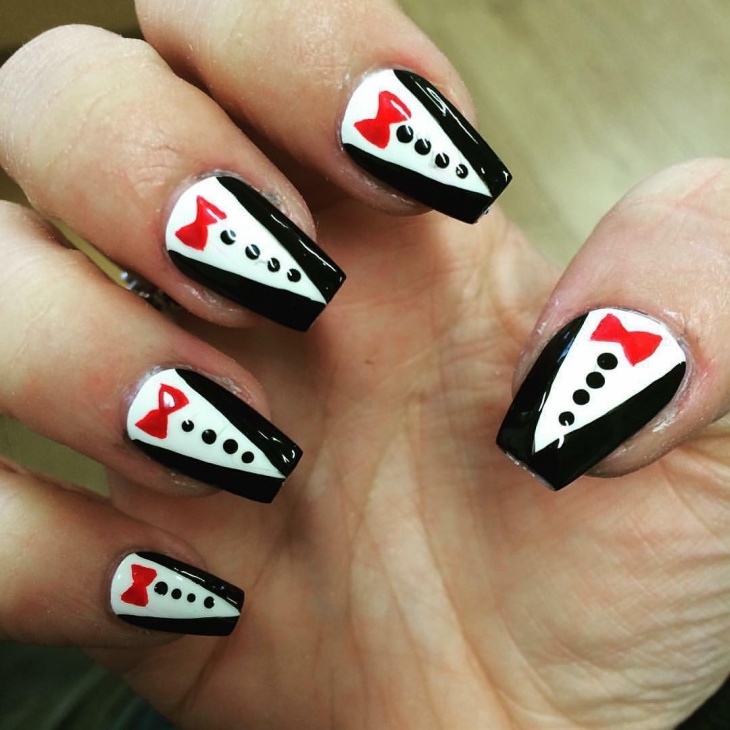 Tuxedo nails are in fashion these days because of the very popular culture of wearing tuxedos at every event. 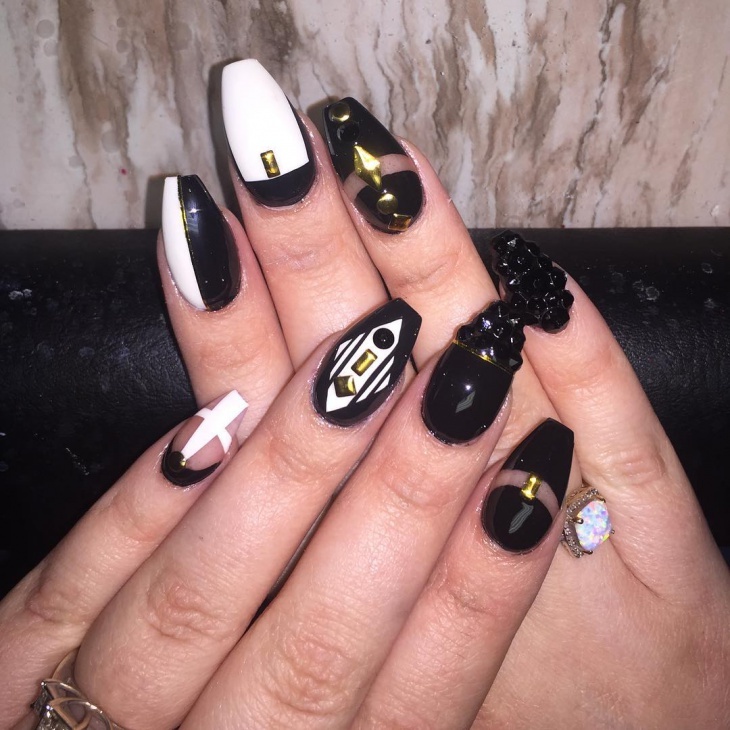 The white and black combination makes everyone want to get one, for your nails especially. These are suitable for different occasions and that’s what makes it even better. 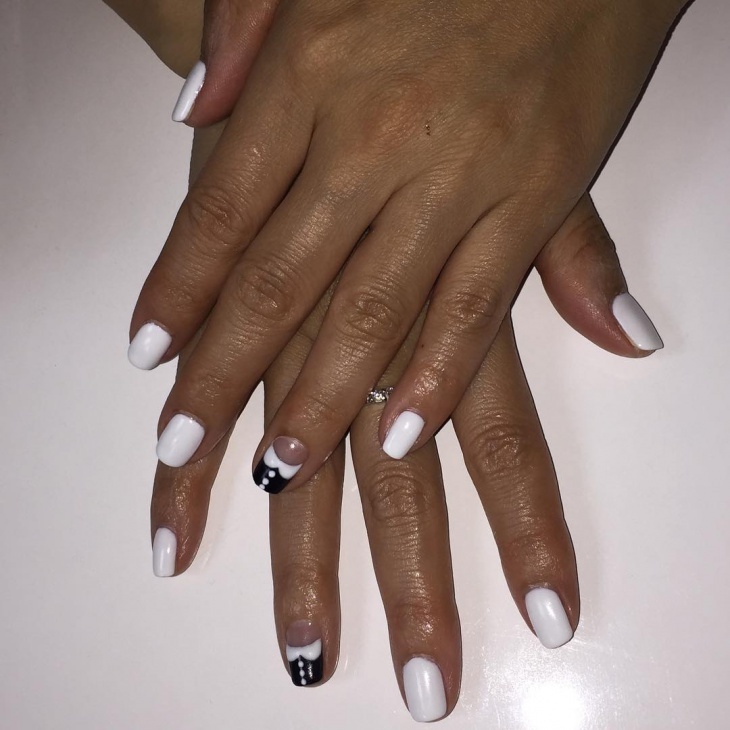 Be it a party or a casual event, these nails are definitely going to stand out and more importantly, make you look stunning.